Walsall's on-loan Forest Green Rovers defender Scott Laird has spoken to the press ahead of this weekend's Sky Bet League One clash with Rochdale, and admitted that he can't wait to play at Banks's Stadium once again. Taunton-born Laird, who made over thirty Walsall appearances during a loan spell in 2016/17, believes that the fans will have a massive part to play over the remainder of the campaign, admitting that they have every right to be frustrated with recent results before calling upon them to back the boys as they look to return to winning ways this weekend. 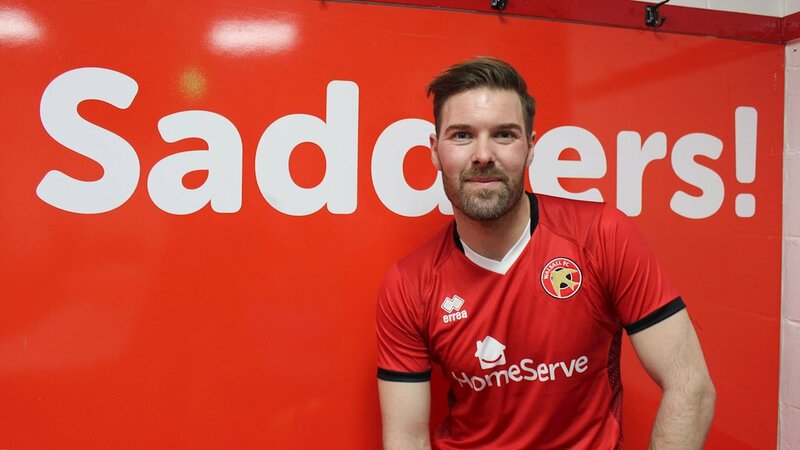 Scott, who was speaking via the club's official website - Saddlers.co.uk - said; "I can’t wait to be back at home this weekend. It is a stadium that I love playing at and it was one that I used to drive past every day growing up on my long trips up north to Preston. "It is one of my favourite stadiums to play at and the fans have been brilliant with me so far. The fans who have travelled to the two away games I have been involved in to support us have been awesome because they were two very long away trips in quick succession so hats off to them and thank you for travelling and supporting us there. "The fans are going to be massive for us for the rest of the season. As a player, you can hear and feel it on the pitch when the fans get involved. When you’re getting positive vibes from the fans when you’re on the pitch, it really lifts you so if we can turn the negatives into more positives then I know we will move forward. "The fans pay their hard earned money for every game, both home and away, and they are well within their right to voice their frustrations. We’re frustrated as well that it isn’t going right for them but I can tell them now that no player out there on the pitch is giving less than their all for Walsall Football Club because we want to put ourselves in a position when we are able to kick on as a football club."